U.S. scheduled passenger airlines employed 4.0 percent more workers in October 2016 than in October 2015, the U.S. Department of Transportation’s Bureau of Transportation Statistics (BTS) reported today. 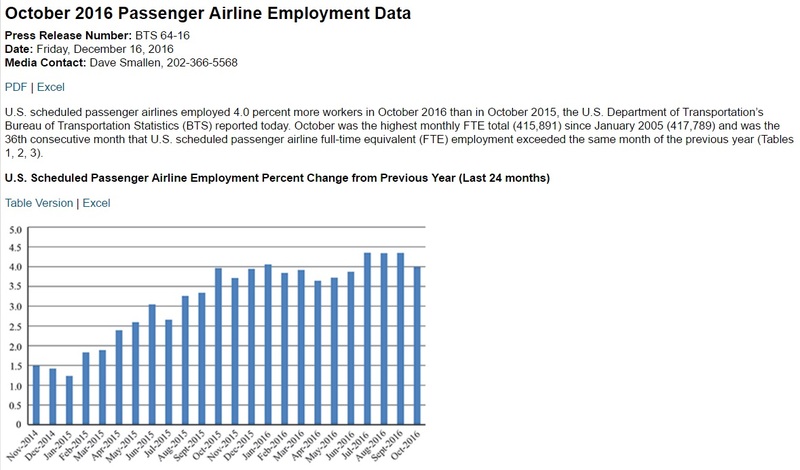 October was the highest monthly FTE total (415,891) since January 2005 (417,789) and was the 36th consecutive month that U.S. scheduled passenger airline full-time equivalent (FTE) employment exceeded the same month of the previous year. Month-to-month, the number of FTEs rose 0.3 percent from September to October. Scheduled passenger airline categories include network, low-cost, regional and other airlines. The four network airlines that collectively employ two-thirds of the scheduled passenger airline FTEs reported 2.7 percent more FTEs in October 2016 than in October 2015. Alaska Airlines, United Airlines, American Airlines and Delta Air Lines increased FTEs from October 2015. Month-to-month, the number of network airline FTEs rose 0.2 percent from September to October. The network airlines employed 6.0 percent more FTEs in October 2016 than in October 2012. 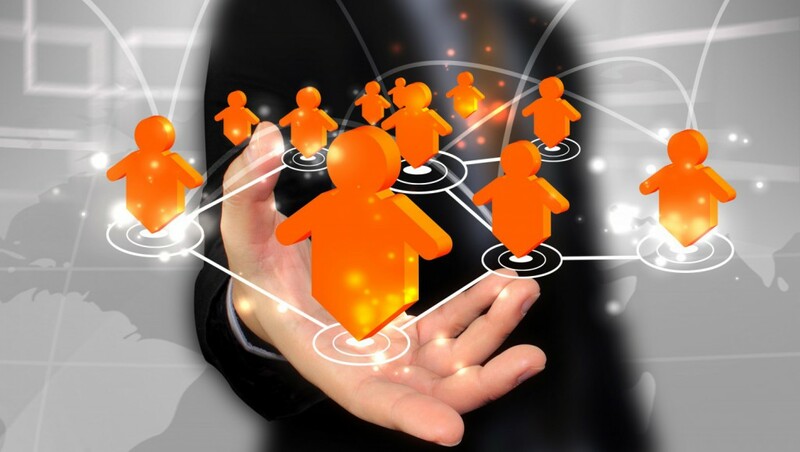 Network airlines operate a significant portion of their flights using at least one hub where connections are made for flights to down-line destinations or spoke cities. The six low-cost carriers reported 10.2 percent more FTEs in October 2016 than in October 2015. Allegiant Airlines, Spirit Airlines, Frontier Airlines, Virgin America, JetBlue Airways and Southwest Airlines increased FTEs from October 2015. Month-to-month, the number of low-cost airline FTEs rose 0.8 percent from September to October. The six low-cost airlines employed 22.1 percent more FTEs in October 2016 than in October 2012. Low-cost airlines operate under a low-cost business model, with infrastructure and aircraft operating costs below the overall industry average. The 12 regional carriers reported 0.3 percent more FTEs in October 2016 than in October 2015. Nine regional airlines – Republic Airlines, Compass Airlines, PSA Airlines, Endeavor Air, Mesa Airlines, GoJet Airlines, SkyWest Airlines, Envoy Air and Horizon Air – increased FTEs from October 2015. The others reported decreases. Month-to-month, the number of regional airline FTEs fell 0.1 percent from September to October. The 12 regional carriers reporting in October 2016 employed 0.8 percent more FTEs in October 2016 than the 15 carriers reporting in October 2012. Regional carriers typically provide service from small cities, using primarily regional jets to support the network carriers’ hub and spoke systems.